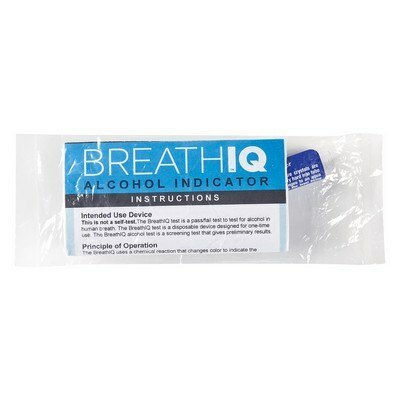 The BreathIQ Alcohol Indicator Key Tag features easy to use functionality and makes amazing Giveaways with your logo. 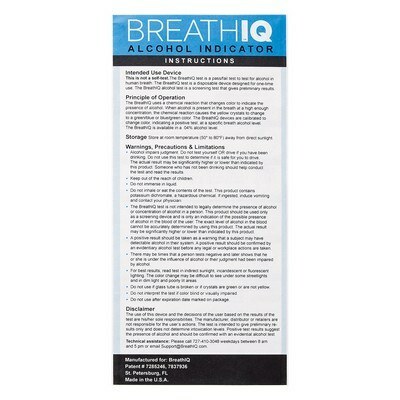 Promote safe driving with your business at the next company event with our BreathIQ Alcohol Indicator Key Tag, imprinted with your corporate logo and marketing message. 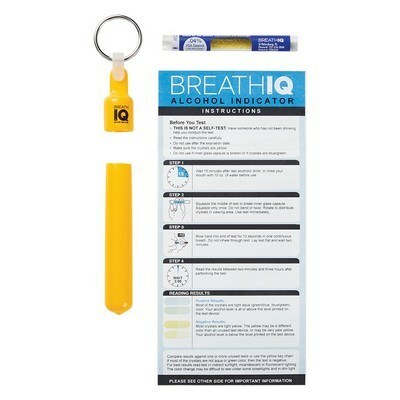 Sized perfectly to store conveniently in your purse or pocket, this key tag easily attaches to keys and other items and comes handy when trying to prevent drunk driving. 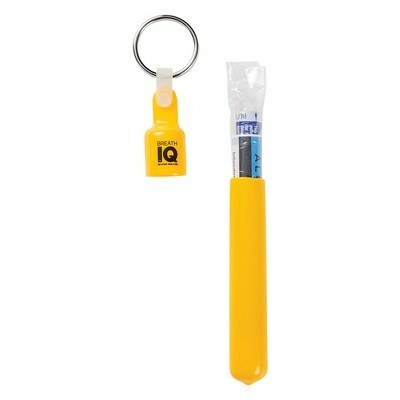 Refillable key tag holder comes with disposable single use tester. It is an easy to use indicator with four simple steps. 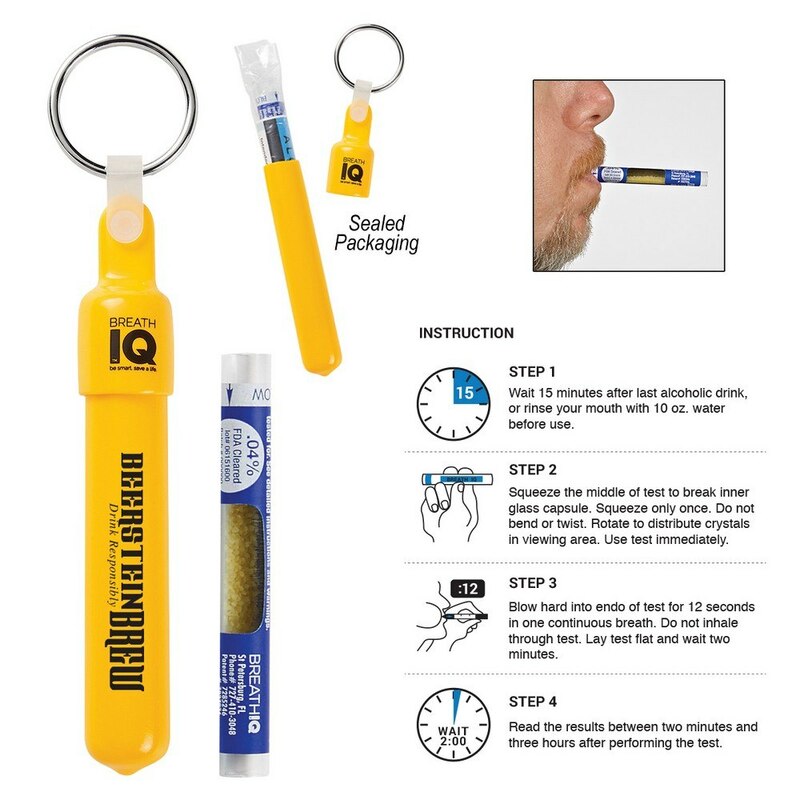 Use it when somebody’s sobriety is questioned. 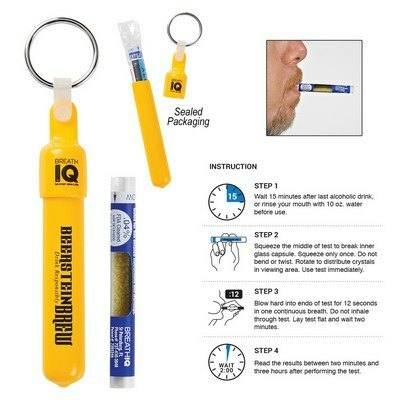 The small plastic vial contains color changing powder which changes the color when an intoxicated person blows into it. This custom giveaway will definitely impress your recipients and increase your brand’s reputation.